The SENCER (Science Education for New Civic Engagements and Responsibilities) Summer Institute (SSI) will be hosted by Case Western University in Cleveland, Ohio on August 1-4, 2019. 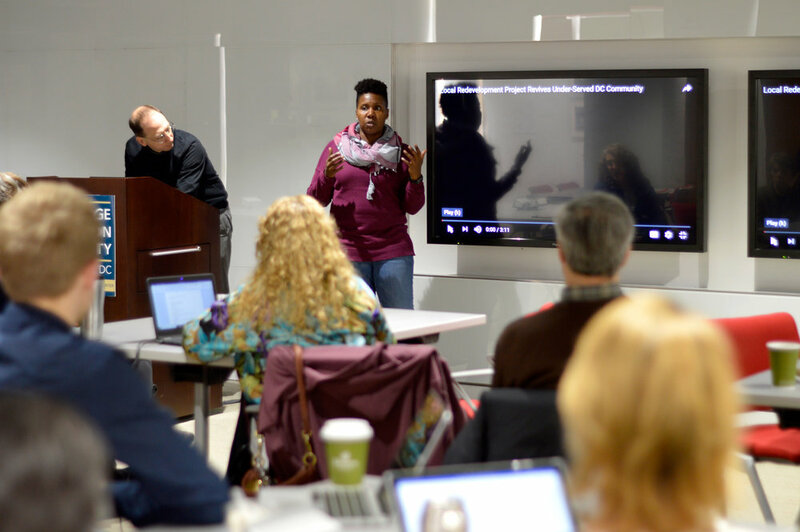 SSI brings together formal and informal educators, learners, and community and government partners for a rich mix of plenaries, workshops, and other sessions that focus not only on what students should learn, but how that learning might be accomplished. The theme for SSI 2019 is Partnership Power: STEM Learning as a Force for Civic Renewal. 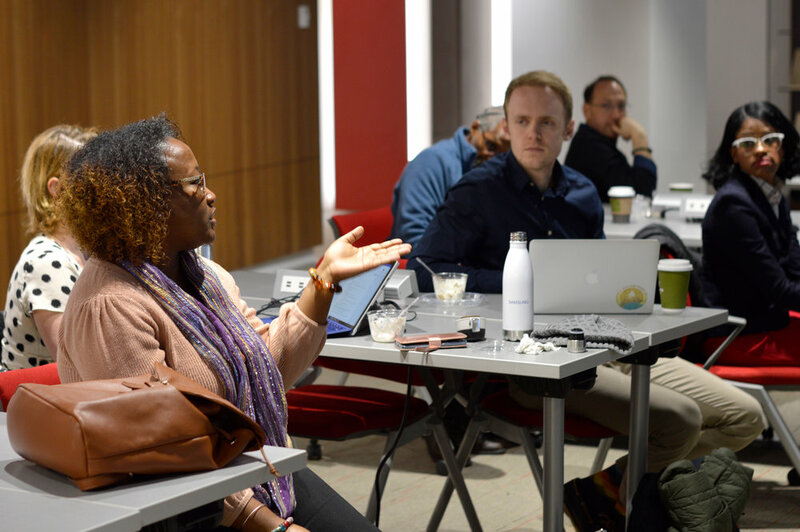 In addition to their core focus on effective pedagogy and course design, the Institute program will explore collaborations and partnerships that advance STEM learning and build civic capacity for addressing the critical challenges facing our democracy. 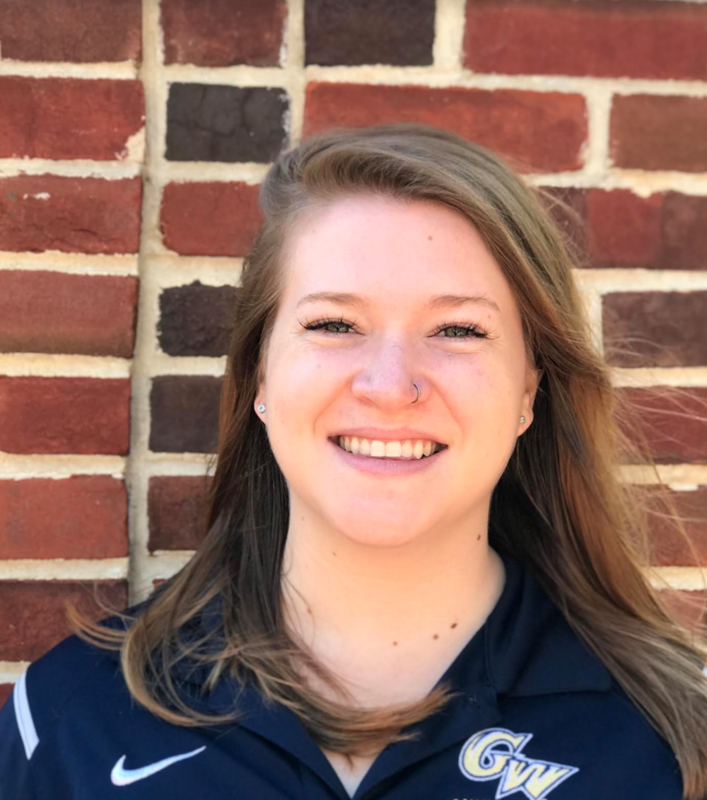 Colleen Packard, a Master’s student pursuing a degree in Master's of Public Health in Community-Oriented Primary Care, has won the Nashman Prize for her Community-Based Participatory Research! 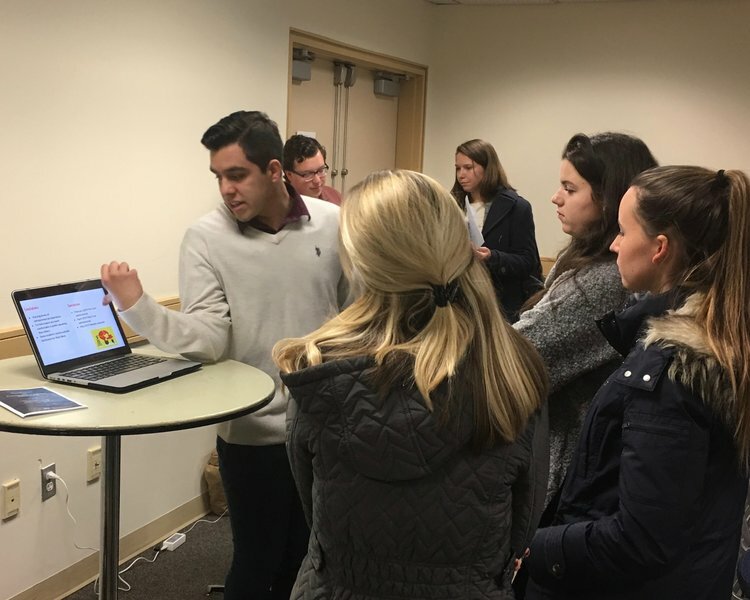 Undergraduate and graduate students who present their research at the annual GW Research Days event are invited to submit for consideration for the Nashman Prize, which recognizes excellence in Community-Based Participatory Research. Read more about her research below, and read more about the Nashman Prize here. Colleen did research with Beacon House, a community non-profit organization located in the Edgewood Commons complex of Washington, DC whose mission is to close the education achievement gap for children in Ward 5. Beacon House’s athletics program is a signature offering of the organization, and the tackle football program is the largest and most successful of the sports offered. However, with increased awareness of concussion risk in youth sports, Beacon House requested this research be done in order to adequately inform any future action by its administration. The purpose of this study is to conduct an assessment of parent and student perceptions of youth sports injuries. The study also surveys Beacon House parents and students to see how the athletics program could potentially expand in the future. The mixed-methods study utilizes survey measures and focus groups to measure both parent and student knowledge, attitudes, and perceptions of concussions. The athletics interest form will furthermore show which sports parents and students are interested in playing, either in lieu of or in addition to tackle football. All methods were reviewed by Beacon House before beginning data collection, and Beacon House staff are integral to participant recruitment. Imagining America, an organization dedicated to promoting community engagement and service-learning partnerships. Below are some highlights from their March 2019 newsletter. 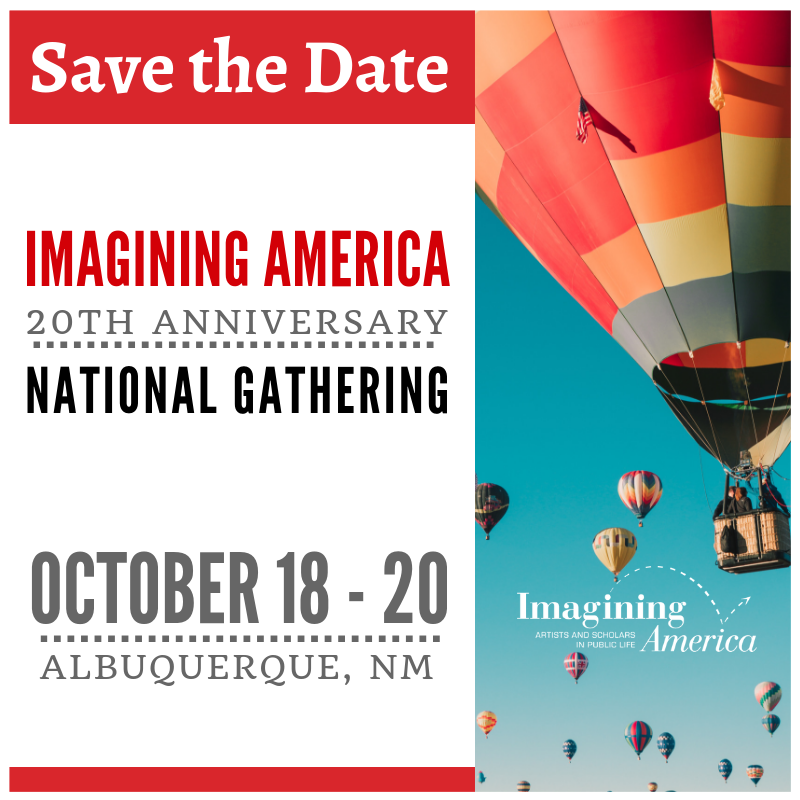 The Imagining America National Gathering will take place on October 18-20th in Albuquerque, NM. The call for participation will be released in April. For more information on early hotel booking, click here. The National Women’s Studies Association is offering scholarship for graduate students, with applications due by tomorrow night (March 31). If you know a graduate student that is currently a member and interested in scholarship opportunities, refer them here for more opportunities. Check out IA Faculty Director Erica Kohl-Arenas as a guest in the Niskanen Center's recent Science of Politics podcast and speaks on how philanthropy diverts social movements. Click here for the podcast site, along with a transcript. 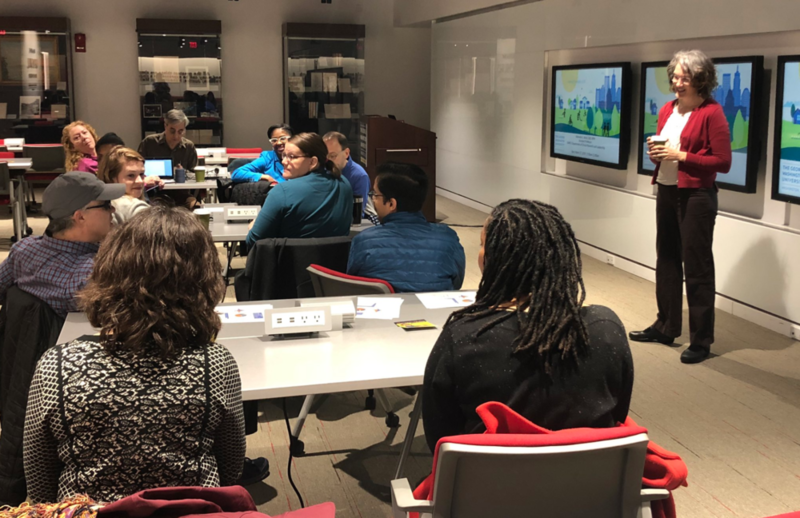 On Wednesday, March 26th, the Nashman Center hosted our March Breakfast on Community-Engaged Scholarship at Gelman Library! Doctor Maranda Ward, a Nashman Affiliated Faculty member and Professor at the School of Medicine and Health Sciences, presented and led a robust discussion. The presentation focused on historic inequality in D.C. that has perpetuated to this day and the ways that GW faculty and students can interact with organizations fighting for justice in an appropriate way - by lifting up communities in the areas where they are strong. Thank you to everyone who came out for this enlightening conversation. If you missed the event or want a chance to review what was discussed today check out the PowerPoint from Dr. Ward here. This is a do-not-miss GW event which will explore the potential of theatre as a powerful catalyst for social change. Theatre practitioners will share experiences from their own work in which they have witnessed or experienced the transformational power of theater. The following panelists will continue the conversation: Derek Goldman, Caleen Sinnette Jennings, Leslie Jacobson, Jodi Kanter, and linguist Deborah Tannen. Mary Ellsberg, Director of the Global Women’s Institute will moderate the panel. Following this event, plan to stay for a performance of 'Women's Works' Compiled and directed by Leslie Jacobson from 5-7pm. Link here for more information about this work, as well as other performance times scheduled. 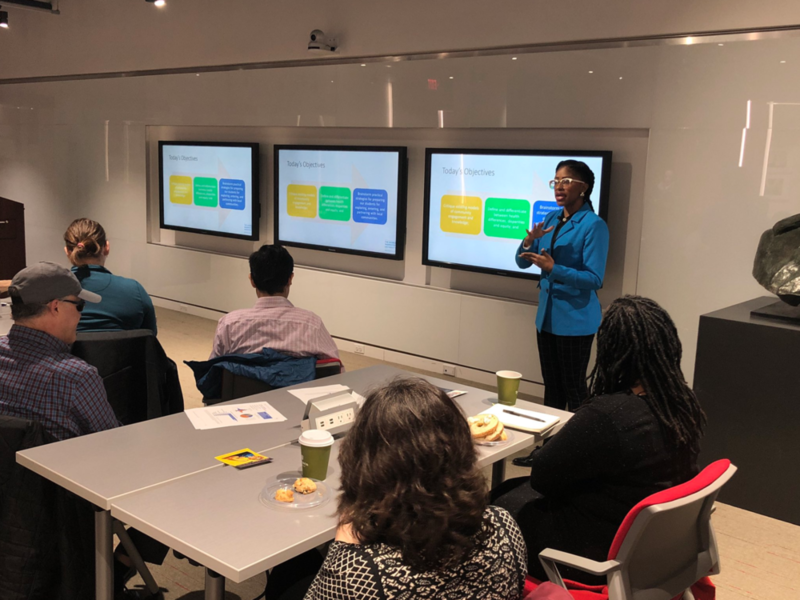 Our March Breakfast Conversation on Community-Engaged Scholarship is coming up next week on March 27th from 9:30 a.m. to 10:45 a.m. in the Winston Churchill Library and Center at Gelman Library. Dr. Maranda Ward will facilitate this Conversation about the history of inequity in Washington, D.C. and our role in partnering with those who are working toward justice. For more information and RSVP, click here. The Spring 2019 Symposium on Community-Engaged Scholarship is coming up on Friday, April 26th from 12:00 p.m. to 3:30 p.m. on the 3rd floor of the Marvin Center. We will be heavily featuring Nashman Affiliated Faculty and the great community-engaged scholarship students have been doing in their classes. For a program and more information, visit our Symposium page here. You can RSVP here. We’re excited to see you all there on April 26th! 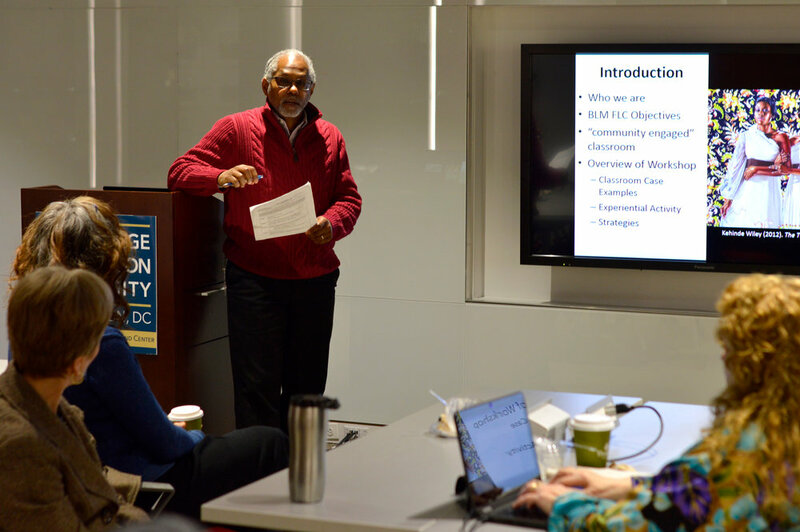 The Black History Month Nashman Breakfast Conversation on Community Engaged Scholarship was hosted this week by the Black Lives Matter Faculty Learning Community (FLC). If you missed the presentation, or want a recap, the PowerPoint from the presentation can be found here and video of the presentation can be found here. Dr. Maranda C. Ward is part of the school of Medicine and Health Sciences and she stated that their mission as a school is “excellence through diversity and inclusion” and “addressing the challenges of health equity.” Dr. Ward created a health equity course audit rubric which assessed health equity classes based on if they were implementing diverse cultural perspectives and found that many of the classes weren’t including diverse course work. Now as a department they are trying to figure out the best way to revise curriculum. Dr. Susan LeLacheur and Dr. Howard Straker teach together in the School of Medicine and Health Sciences. 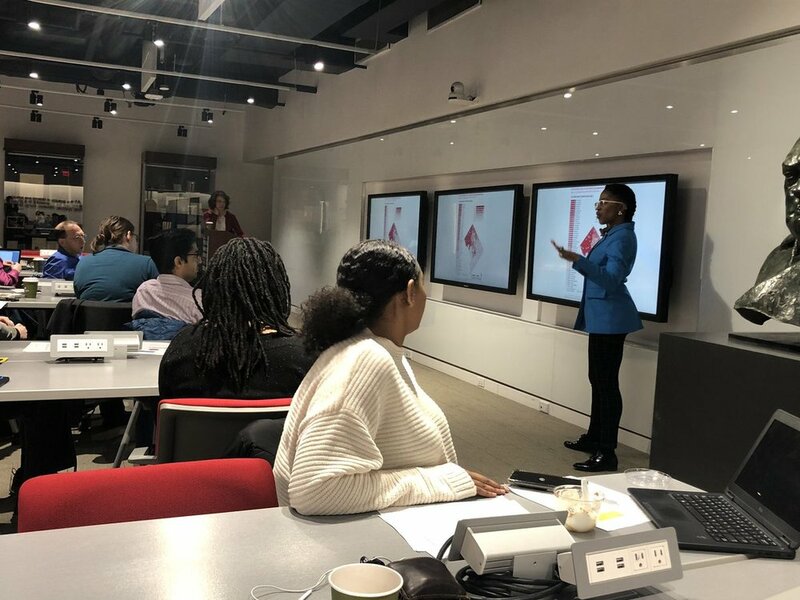 In their classroom, they diversified case scenarios, used implicit bias tests and added material on African American historical trauma, and prenatal care. The session ended with faculty discussing ways to talk about race in their classes with conversations about Governor Northam and how to discuss the issue with students. Thank you to the BLM FLC for great scholarship! If you would like to join this or any other FLC, information is here. RSVP to our next Breakfast Conversation on Community-Engaged Scholarship here. This professional development opportunity is offered as a pre-conference event, preceding the Engagement Scholarship Consortium Annual Conference: October 6-7, 2019, Denver, Colorado.